In order to maintain your oral health, you need to invest in preventative dentistry, which means to look after of your teeth and gums. Doing so reduces your risk of developing onset cavities, enamel wear, gum disease, etc. Fortunately, there are dozens of preventative dentistry forms, such as daily flossing and brushing, dental cleanings, and more. According to the American Dental Association, it's suggested that you visit your aesthetic dentist regularly to maintain your oral health. Doing so will guarantee that your teeth stay strong and clean for years to come. Here are a few more pointers on how you can take advantage of preventative dental care and how it contributes to your overall health. Brushing your teeth every day is incredibly important to you and your mouth. The American Dental Association suggests using a fluoride toothpaste they approve of. Additionally, you should also be sure to replace your toothbrush at least four times a year, due to regular wear and tear. However, you also shouldn't forget to brush your tongue, since this is where the majority of bacteria lives. Plus, it will help you keep your breath fresh. Regularly flossing every day is highly recommended by most dentists. Flossing can help you get old food and bacteria from the spaces in between your teeth. However, if you wear braces, you should invest in a floss threader to work the floss between your metal brackets and wire. Overall, it's important that you're getting the most out of flossing, so at your next cleaning, double check with your dentist that you're flossing your teeth the right way. Eating a well-balanced diet helps add an extra layer of protection to your teeth by consuming the proper nutrients that they need to function. This also means lowering your sugar intake and drinking a few cups of water every day. Also, since vitamins are crucial for peak oral health, make sure you eat a diet that consists of vitamins that can maintain your healthy, white smile. Fortunately, if you have dental insurance, you'll know what's covered at your visits. Additionally, most insurance plans cover at least two preventative dental checkups a year. Who Should Take Advantage of Preventative Dentistry? Everyone should take full advantage of preventative dentistry measures. However, kids need children dentistry even more so. This is not only because they're young and need to learn to maintain their teeth, but also because their teeth are slowly developing into strong, healthy adult teeth and need all the help and children dentistry they can get. Fortunately, topical fluoride and dental sealant treatments can help prevent decay and cavities from forming in your children's teeth. But, as a growing adult, you can take advantage of preventative aesthetic dentistry yourself by maintaining the good condition of your own teeth and lowering your risk of needing dentures or implants. Plus, your oral health is connected to the rest of your body. When you have a surplus of harmful bacteria in your mouth, it can affect you as a whole. Nearly every hour, someone in the United States dies from oral cancer, according to The Oral Cancer Foundation. When you go to your regular dental cleaning, your dentist will screen your mouth for oral cancer and try to treat it early on. Gum disease is not only an infection in your gum tissue but also one of the leading causes of adult tooth loss. However, if it's diagnosed early on by your dentist, it can be treated. However, if your hums don't receive treatment, you may develop a serious stage of gum disease that cannot be reversed. But, with the help of regular checkups and cleanings, as well as flossing and brushing daily, you can prevent the development of gum disease in your mouth. Gum disease is among the leading causes of adult tooth loss. However, regular brushing and flossing your teeth, with regular checkups with your periodontist, can help you maintain the health of your teeth for as long as possible. Also, maintain your teeth will help you have better overall teeth and keep your ability to chew. With the help of your aesthetic dentist and hygienist at regular dental cleanings, they can detect early signs of oral health problems, such as with your teeth and gums. Fortunately, most broken fillings, cavities, and gum disease can be easily treated if detected early on. However, if they're left untreated, you may require gum surgery, teeth removal, root canals, or other serious treatments. You can work to maintain your oral health by having a dentist regularly examine your mouth and compare with other previous checkups to identify any disorders. Or, if you're falling behind on your oral hygiene, your dentist can help you get back on track. During your dental checkups, your dental hygienist can remove the majority of tea, coffee, and tobacco stains on your teeth. Additionally, a cosmetic dentist can also use other treatments to help polish off your teeth and turn it into a bright, white smile that you can enjoy. On the other hand, if you ignore your dental health, you may be looking at long hours of cosmetic dentistry work and porcelain veneer installation. Dental researchers conducted studies that showed that nearly 85 percent of people have halitosis, which is a dental health condition. With the help of regular checkups and cleanings, you can turn around your poor oral hygiene and prevent bad breath. As exhibited above, preventative care can prevent you from developing serious dental problems like cavities, periodontitis, and gingivitis. However, it can do even more for your health, as your dental health has an effect on your overall health. By keeping your teeth healthy, you can avoid developing secondary issues that are caused by bad oral health. - Heart disease: If you have periodontal disease, the bacteria that cause the inflammation of your gums can enter into your bloodstream. From there, the bacteria travel to the heart arteries and causes them to harden in a process called atherosclerosis. This, in turn, causes plaque to build up on the inner walls of the arteries, prompting them to thicken and limit or block blood flow throughout the body. The result is an increased risk of heart attack or stroke. - Cancer: As mentioned above, preventative care can lower your risk of developing oral cancer. However, gum disease has been linked to other types of cancer as well. This includes throat, pancreatic, blood, and kidney cancers. - Diabetes: Controlling your blood sugar can be difficult if you have periodontal disease and your gums are inflamed. This will make your diabetes worse. Plus, those with diabetes have a higher risk of developing periodontal disease. This makes proper dental health even more crucial for people with diabetes. - Respiratory Disease: Over time, breathing in bacteria from the teeth and gums can have a negative effect on your lungs. Gum disease can quickly lead to lung infections like pneumonia. - Dementia: Bacteria that cause gingivitis can enter the brain through the bloodstream or nerve channels in the head. This can promote the development of Alzheimer's disease and dementia. - Complications of Pregnancy: For pregnant women, the risks are even more serious. Bad oral health has been linked with premature birth and low birth weight. While pregnant, you should continue your good oral hygiene habits or adopt new ones. This includes brushing regularly, maintaining a healthy diet, and attending regular dental checkups. Though taking advantage of preventative aesthetic dentistry does not entirely eliminate your risk of requiring fillings, oral surgery, a porcelain veneer, or implants, it can certainly limit it. In doing so, you are also lowering your risk of other serious health issues, too. If you want to be healthy for many years to come, use preventative dentistry now. The benefits of preventative dental care don't just stop at your health. There are some other advantages, too. Here are a few that you may not have thought about before. - Spend Less Money: By taking advantage of preventative dental care, you can avoid paying a lot of money later on. Purchasing toothpaste and going to a regular dental checkup is nothing compared to oral surgery or dental implants price. Even with dental insurance, the dental implants price and other costs of bad oral health can add up quickly. Spending a little bit of money now can save you a lot in the long-term. - More Free Time: Brushing your teeth two times every day takes up a lot less time than spending hours sitting in the dentist's office. By preserving your teeth now, you can avoid long procedures later on. - Prevent Larger Issues: When left unaddressed, minor issues often get worse. You can avoid larger dental issues by taking advantage of preventative dental care when the problems are small and more manageable. Plus, maintaining the health of your teeth and gums can help you to avoid developing even minor issues. - Avoid Trips to the Dentist: Going to the dentist is not enjoyable for most people. If you are one of them, you should take your preventative care seriously. This way, you will only need to visit the dentist for your yearly checkups, no more and no less. You won't have to worry about trips to the emergency dentist either. When you do go to obtain cosmetic dentistry, you can avoid any shots, drills, and pain. Your trips to the dentist will be annual, short, and relatively painless. Preventative dentistry is incredibly important, not just for your oral health but your overall health, too. There are so many benefits associated with this type of care. Plus, preventative dental care is simple to work into your daily routine. Remember to brush and floss every day, maintain a healthy diet, and attend routine checkups with your periodontist. Doing so may just save your life. Great one! Thanks for the post. 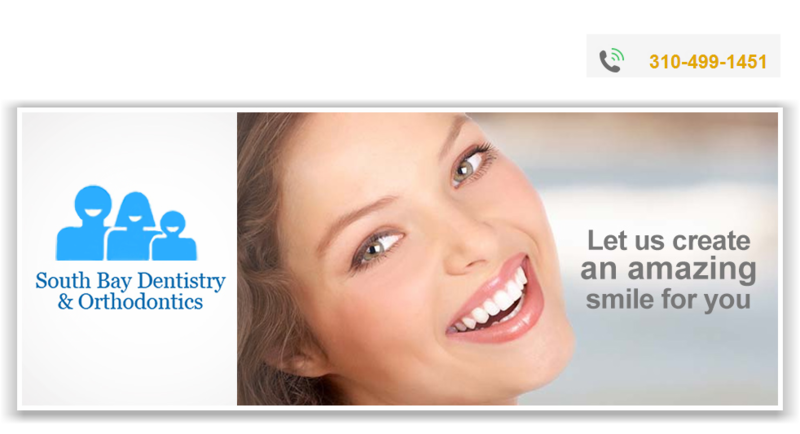 Anyone can follow a stand alone dental discount plans available in Florida . Go and grab your desired plan to ensure a better dental health and well being. Dental care is essential for everyone. Your article is very informative about the Preventative dental care and it provides great tips for dental care. waterloo dentist provides the best dental services to the patients at the affordable price. Thanks for sharing the benefits of the dental care. Dentist uses the dental instrument tray setups size b, Air Water Syringe Tips to provide the proper treatmenet and remove the false teeth. Looking for doctor who provides the proper surgery to get rid of pain. Rhinoplasty in Los Angeles who provides the proper surgery.